It could have been so different for the former Premier League player. Kenny Cunningham could have been a star for Dublin. BEFORE EMBARKING ON a career in professional football, Kenny Cunningham played Gaelic football with the Dublin minors alongside Dessie Farrell and current senior boss Jim Gavin. Speaking on Off The Ball last night, the former Irish international told Ger Gilroy and Kevin Kilbane that he had a “fleeting acquaintance” with our indigenous sport but that he still has a fondness for GAA. He struggled to maintain a balance between the two football codes in his life due to fixture clashes but he would often jump over fences in order to attend games for both Home Farm FC and Na Fianna. During the chat, he recalls a dressing-room experience before a club game which forced him have a rethink about his commitment to Gaelic football. “I remember playing senior football with Dessie, we were only 17 and that was a sobering moment in terms of the physicality. I would have started off as centre half-back in the central area but ended up in corner-forward for obvious reasons. Cunningham also briefly remarked on playing minor county football with Jim Gavin, whom he met recently in a pub in Dublin. Email “Kenny Cunningham recalls the day he realised that Gaelic football wasn't for him ”. 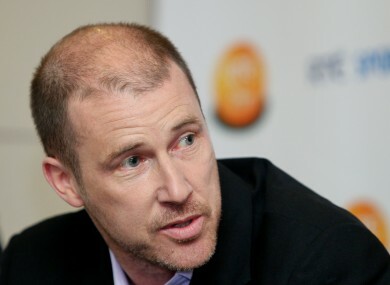 Feedback on “Kenny Cunningham recalls the day he realised that Gaelic football wasn't for him ”.